Chapter from the book: Capineri, C et al. 2016. 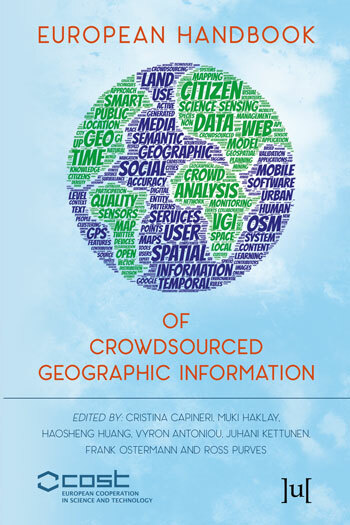 European Handbook of Crowdsourced Geographic Information. Land-related inventories are important sources of geoinformation for environmentalists, researchers, policy-makers, practitioners, and ecologists. Traditionally, a considerable amount of energy, time, and money have been dedicated to map global/regional/local land use datasets. While remote sensing images and techniques along with field surveying have been the main sources of data for determining land use features, field measurements of ground truth have always amplified the required time and money, as well as information credibility. Nowadays, volunteered geographic information (VGI) has shown its great contributions to different scientific disciplines. This was made possible thanks to Web 2.0 technologies and GPS-enabled devices, which have advanced citizens knowledge-based projects and made them user-friendly for volunteered citizens to collect and share their knowledge about geographical objects. OpenStreetMap as one of those leading VGI projects has shown its great potential for collecting and providing land use information. The collaboratively collected land use features from diverse citizens could greatly back up the challenging element of land use mapping, which is in-field data gathering. Hence, in this literature we will look at the completeness, thematic accuracy and fitness for use of OpenStreetMap features for land mapping purposes over European countries. The empirical findings reveal that the degree of completeness varies widely ranging from 2% to 96% and overall and per-class thematic accuracies goes up to 80% and 96%, respectively compared to the European GMESUA datasets. Furthermore, more than 50% of land use features of eight European countries are mapped. This messages that the harnessing citizens’ knowledge can play a great role in land mapping as an alternative and complementary data source.